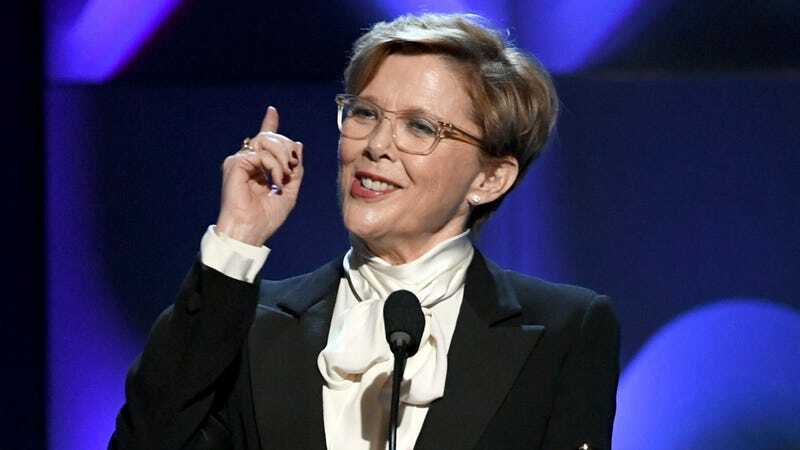 Annette Bening speaks onstage during the 21st Annual Hollywood Film Awards. With Avengers: Infinity War behind us, one of the biggest questions on everyone’s mind is just where a certain hero who’s slated to make her Marvel Cinematic Universe debut next year has been this entire time. We’re speaking of course about Carol Danvers, better known as Captain Marvel. And the Brie Larson-starring Captain Marvel film has just added another huge name to its cast: Annette Bening. Details on the plot of Marvel’s upcoming Captain Marvel film are still few and far between, but the latest bit of casting news suggests that when we meet Carol, we’ll get at least a glimpse of her life before she becomes an intergalactic peacekeeper. Variety is reporting that Bening has joined the cast to play Danvers’ mother, though The Hollywood Reporter suggests that her character might be a scientist of some kind. Of course, both descriptions of Bening’s character could be accurate; the MCU’s Marie Danvers (Carol’s mother’s name in the comics) could be reimagined as a woman of science, which would be a drastic pivot from her comics counterpart. Traditionally, Carol’s mother has been something of a background character who made brief appearances in Carol-centric stories that took place in her hometown. Given than most of Carol’s interaction with her family has focused on her relatives from her father’s side, there’s also the possibility that Bening will be playing a kind of amalgam of characters in order to give her more to work with on screen. There’s no telling just who, exactly, she’s meant to be playing (though I’d love to hear your theories), but it’s all sure to become clearer as we get closer to Captain Marvel’s release on March 6 next year. Welcome to the Carol Corps. Does This Captain Marvel Re-Casting Mean Our Monica Rambeau Dreams Will Come True?